The Realm Makers conference is one of my most-looked-forward-to moments of the year. Last week I talked about my first trip to St Louis and how my creative process was so greatly impacted. The following year I made a late night trek to Philadelphia, PA and spent my first night in the airport. Yup, my flight landed in Philly around midnight. After a few hours of sleep in International Arrivals, I met a few friends, and we set out into the city! While I had started my first year nervous, unsure of what to expect, my second year was kicked off with friends! My greatest memories from Philadelphia came from the time I spent with fellow Realmies. 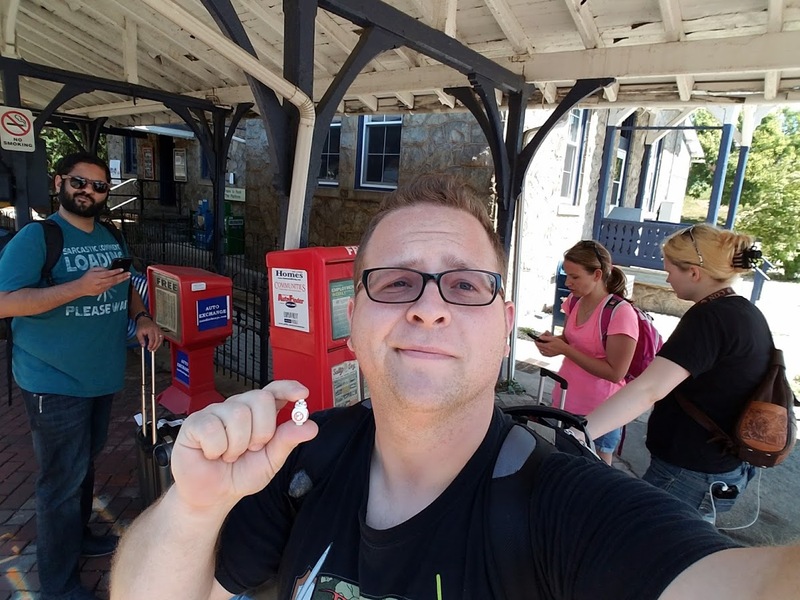 So what’s a group of geeks to do while out on the town in a big city? We grabbed local food, and hit an Indiana Jones themed escape room! 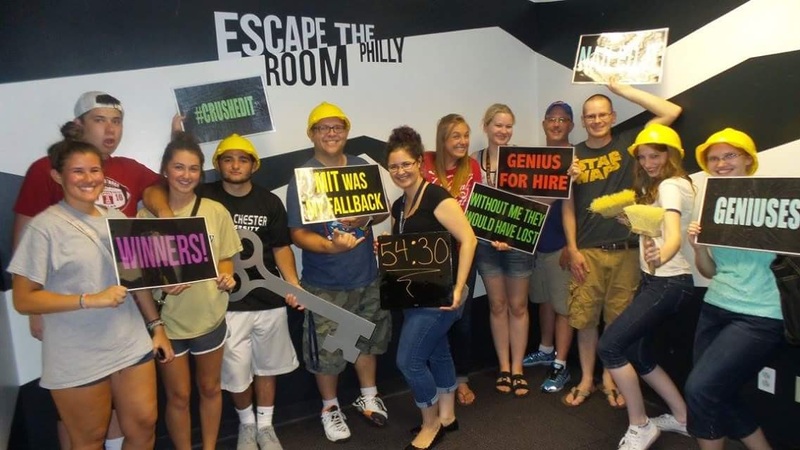 We made it out with a few minutes to spare, but what do you expect from mystery, zombie, fantasy, and YA authors? I learned so much from his keynote. He gave practical advice on writing, and setting aside your time to be creative. Villanova was a such a beautiful venue. I loved my classes with Tosca Lee, Patrick Carr and Kathy Tyers. Kathy’s class on world building challenged me to dive so much deeper into the worlds that I craft. 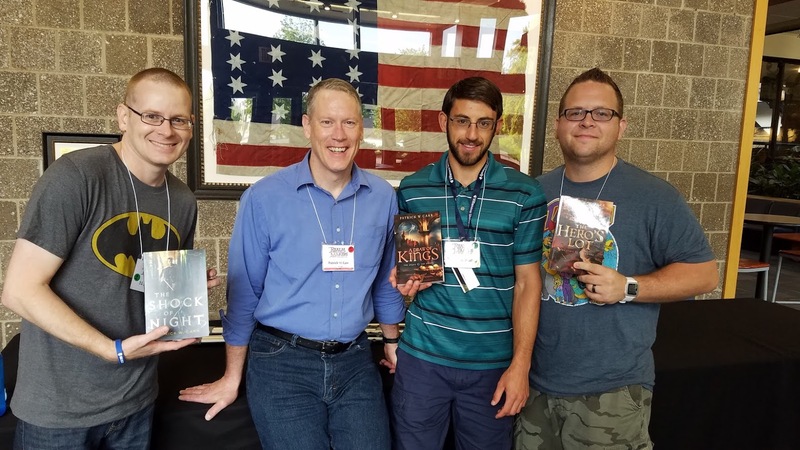 During Patrick Carr’s class on fantasy tropes, our knowledge of fantasy authors – primarily Robert Jordan – brought victory for fellow Cap’s Chaps JJ Johnson and Zac Todah and myself. We snagged a book by fantasy author, Patrick Carr. I really enjoyed The Staff and the Sword series. As each Realm Maker’s conference comes, I am so excited to see my tribe. We’re goofy. We’re awkward. We’re darn good writers. And though some are introverted or extroverted, some love horror, and others write clean faith-filled (and yes, you can have both) and others write edgy, mainstream stories. Our common core is that we love Jesus. We want to use the gifts we have to be a light to the world. Through creativity, we preach the good news – that darkness doesn’t win. In case you missed it: Realm Makers starts in two days!!! On Wednesday (tomorrow as of this post) I’ll be heading to St Louis to spend a few days learning, relating, and running myself ragged with some of my favorite people on this planet. If you want a glimpse of the shenanigans – follow me on Instagram, Facebook, or Twitter. I’ll be posting some live videos and highlights of the weekend. 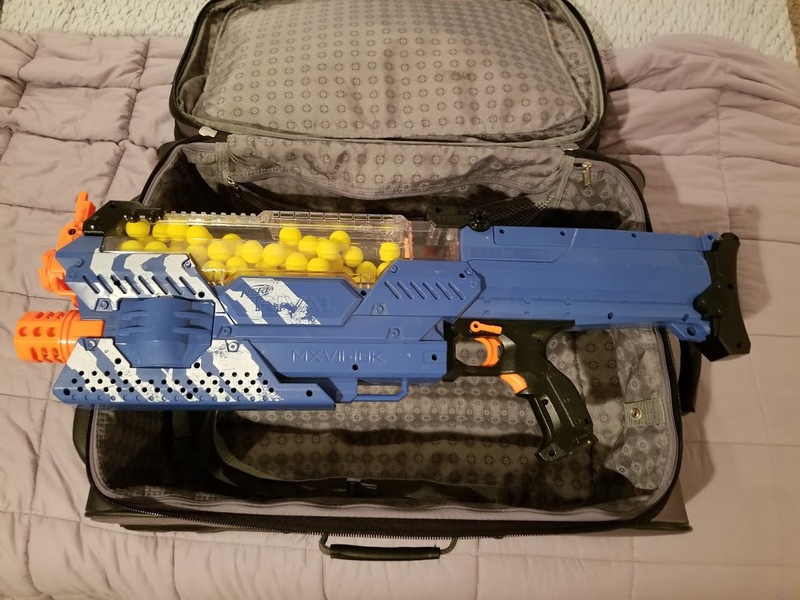 Now if only I could fit my Nerf gun in my suitcase….. I so love that you have found your tribe. 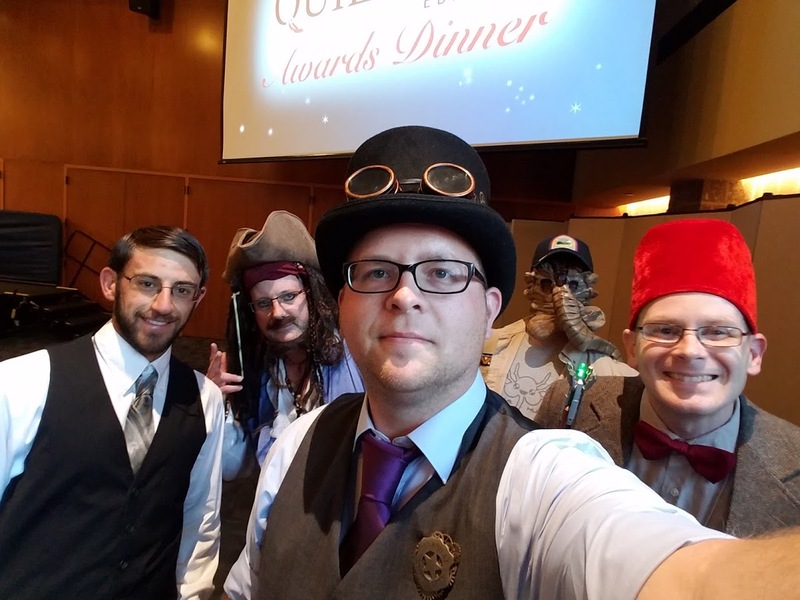 The 2018 conference in St. Louis was my very first Realm Makers, and I’ve certainly found my tribe as well! I can’t express how empowering and liberating it was to connect with all you Realmies. Thanks for making this newbie feel welcome!